Macrame Revival is here!!! YES its back and everyone is doing it. Learn the basic 3 knots needed to create a beautiful wall hanging for your home. You will take away the skills require to create this 70’s craft but with a modern look and feel. Workshop includes Australian Cotton and wooden dowel for you to complete your wall hanging as well as printed instructions for you to take home so you can continue making incredible pieces. If you can tie your shoe laces you can Macrame! 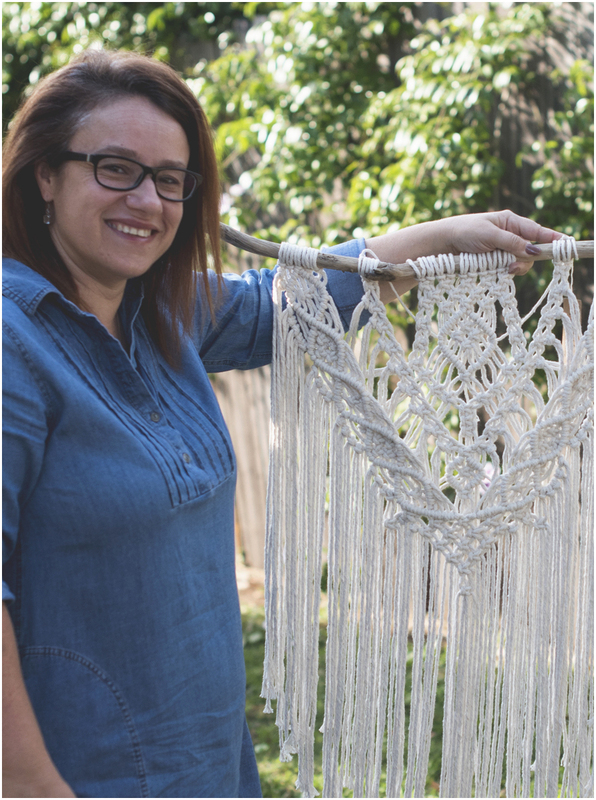 Meet Angie Duncan; a fibre artist, portrait photographer and lover for all things handmade. Based in Camden NSW, Angie commenced creating unique custom made wall hangings a little over a year ago for herself and family, and more recently for her clients earlier this year. With previous experience in training within the Hospitality industry as well as Photography; Angie understands the needs of her students and caters to each individual. She strives on bringing peoples creativity out and enjoys seeing everyone walk away with new skills and a wall hanging they are proud to hang on their own wall.